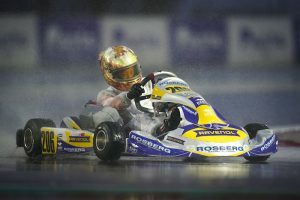 Already well established after the WSK Champions Cup, the Rosberg Racing Academy stayed at the Adria Karting Raceway in early February for the start of the WSK Super Master Series. The preparation of 2019’s young drivers continues for a season full of promise. 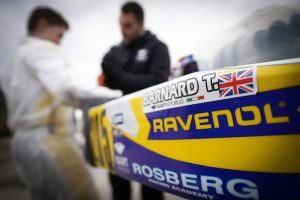 Following Barnard’s victory a week earlier, the performance was still there for the KR-IAME equipment in the Ravenol colours, with two more top sixes and narrowly missed podiums for Taylor Barnard in OK and Andrea Kimi Antonelli in OK-Junior. For the drivers, supported by Ravenol lubricants, the situation became clearer on Sunday, as did the sky in northeastern Italy. The Junior Antonelli managed his Prefinal perfectly to win with the lap record. In OK, Barnard made a significant comeback to 11th on the starting grid of the OK Final, while the Chinese driver Cenyu Han assured his qualification. In OK, Cenyu Han was able to apply the advice given by his team to make a nice comeback from 29th to 21st place in the Final. Meanwhile, Taylor Barnard was one of the main protagonists of the pack, coming back brilliantly to 4th after starting in 11th place, with the second fastest time in the race. 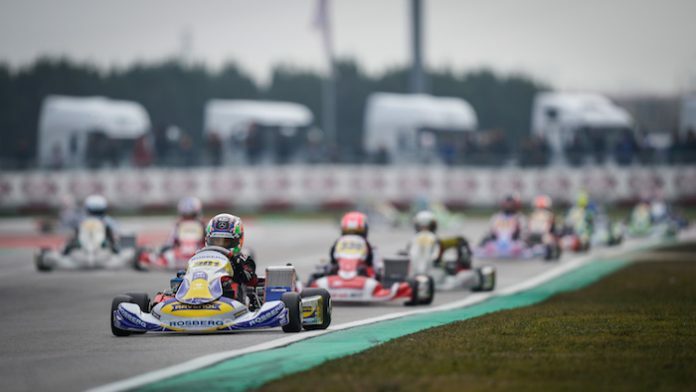 Undoubtedly, many positive elements can be taken away from this opening of the WSK Super Master Series for the Rosberg Racing Academy, Ravenol and Kart Republic.